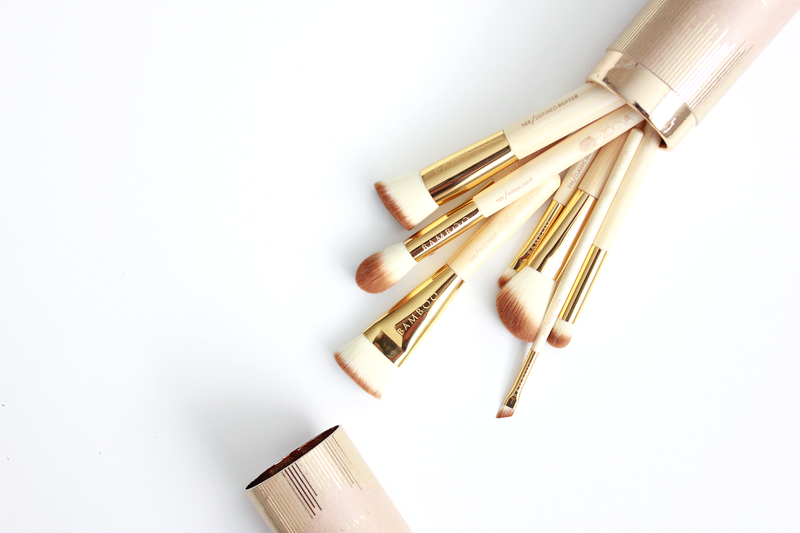 It's no secret that Zoeva brushes are one of my biggest beauty loves. Few other brushes grace my collection in the same numbers that Zoeva's brushes do. So when their newest collection [The Bamboo Vol.2] landed on my doorstep, I couldn't wait to see what they brought to the table. The bamboo collection is an eight piece set crafted out of three renewable materials - vegan taklon hair (which is super soft), genuine bamboo wooden handles, and golden aluminum ferrules. 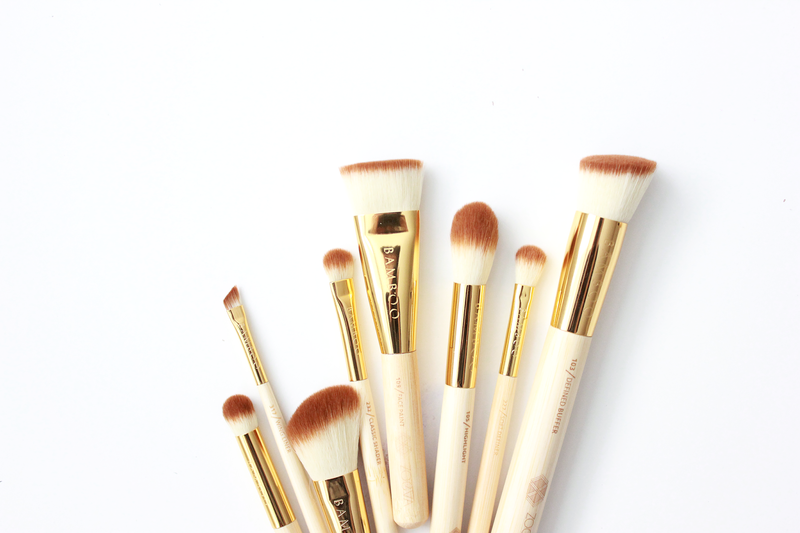 Each brush has a unique handle with difference in texture and color due to the authentic bamboo wood. 103 'Defined Buffer' : An absolute dream for applying foundation. The brush hairs are super soft, and not very dense, giving a beautiful airbrushed finish. The angle of the brush is also perfect for getting all around the face. 105 'Highlight' : This fluffy little brush is perfect for applying highlighter to the tops of the cheekbones. It also works really well at a concealer brush - perfect for under eye area. 109 'Face Paint' : This one is fantastic for contouring - especially creamy formulas like my Clinique Chubby Stick. It can also work well for foundation application. 128 'Cream Cheek' : One of the things I love about this set is how well it adapts with cream products (highlighters, contours, and blushes) making it perfect for warmer months. 142 'Concealer Buffer' : Hands down one of my favorite Zoeva brushes so I'm thrilled to see it included in this set. It is perfect for spot concealing and under eye blending. 227 'Soft Definer' : Another staple Zoeva brush that I'm excited to have an extra of. Just as good as the MAC 217 - this brush is perfect for blending out eyeshadow seamlessly. It creates the perfect crease definition. 232 'Classic Shader' : Perfect for packing on eyeshadow as a base. 317 'Winged Liner' : Fantastic for liner (both top and bottom lashes) and for brow defining. *All products in this post have been graciously gifted to my by Zoeva. All thoughts and opinions are my own. The collection launches today. I have never heard of them, but the packaging is too pretty not to want to try out! I love the look of these, there seems to be a great selection of shapes! They are amazing! Their Rose Gold set is another amazing collection of brushes. I highly recommend them. Yes! That's what I love about this collection - the varying shapes that are a bit different from my rose gold set. They are great brushes, they hold up so well and are so soft! The bamboo is so pretty, I love how unique each one is! They are allllmost too pretty to use! Their brushes are wonderful! I highly recommend their buffing brushes, soft definer, and their angled cheek brushes. Oooohh wow!!! I talk about it on my blog! I really want them! They are perfect ♥♥ also it's very important that they're vegan! whoaaa those brushes look amazing! Ive been eyeing zoeva brushes for a while! I don't really own any kind of expensive brush sets so I really think their more afforable compared to sigma or morphe. So good to see reviews about them! This set looks so beautiful too! I prefer these out of any of the other brushes I own. The design, size, and shapes are my favorite. I also love how they don't shed and the brushes are super soft! These all look and sound beautiful; I'm yet to try any brushes from Zoeva, but I definitely think that needs to change ASAP! What a beautiful collection! I don't even think I own this many brushes total :p I want to try some of the rose gold brushes for sure, but the Defined Buffer brush sounds amazing! In dire need of new brushes! Would you recommend these over Sigma? They are seriously the best ones I own! And the price point is great for the amount of brushes you get! The rose golden ones are my absolutely favorite! 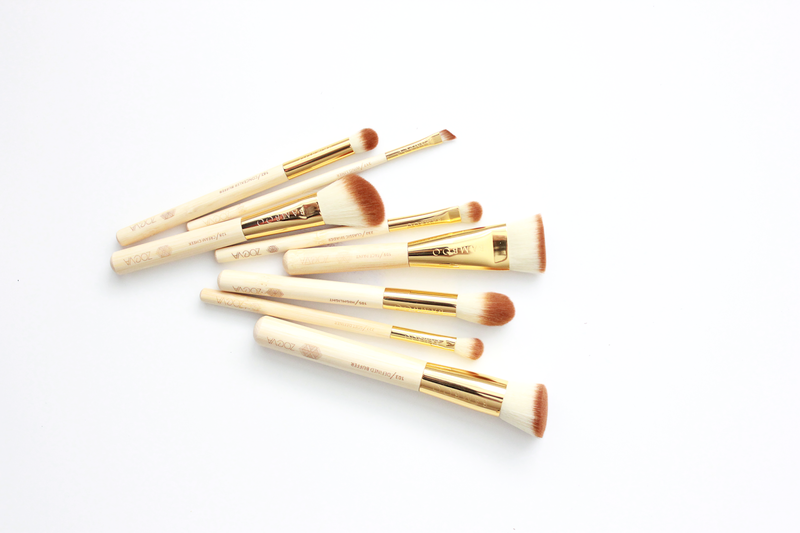 The larger buffing brush in that set is so great for foundation! I do prefer these over the Sigma brushes. I don't have many Sigma brushes but I definitely reach for my Zoeva ones over the Sigma line.